After three years of trying to conceive, Adele Rivas had all but given up hope of having a baby when she found a lump in her breast. Maybe it was a mother’s intuition, but as she prepared for an MRI scan on the lump she asked doctors for a pregnancy test – just in case. At first, the pregnancy urine and blood tests were inconclusive. The breast cancer diagnosis, however, was not. Doctors wanted to start treatment straight away, but waited 48 hours – until a second blood test confirmed beyond doubt that the 34-year-old was three weeks pregnant. 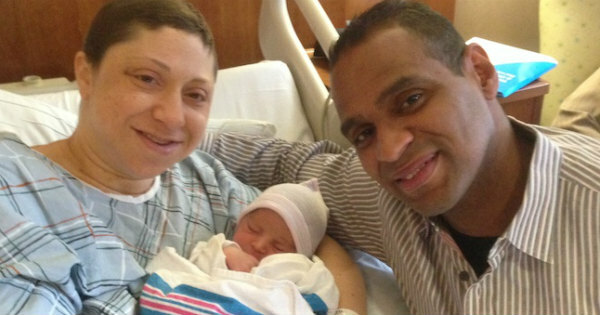 Adele and husband Luis decided to continue the pregnancy, even though her cancer treatment could not wait. She underwent a double mastectomy, overseen by two surgeons, an oncologist and a high-risk obstetrician. Surgery in the first trimester is risky for the fetus, with the danger increasing the longer the mum spends under anaesthetic. After the operation, Adele, Luis and their doctors nervously performed an ultrasound to check on the baby. The news was amazing. “All we saw was a little flicker of a heart beat, but seeing that little flicker after the surgery was probably one of the most emotional moments of my life,” Adele tells Healthline. 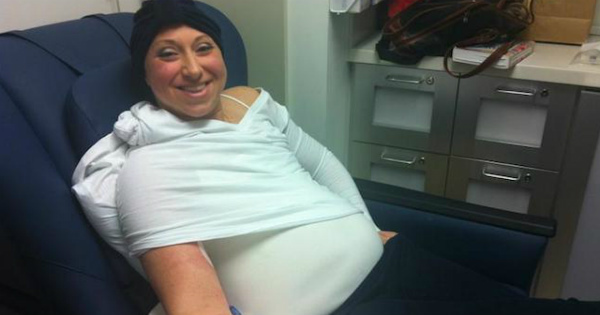 But her ordeal wasn’t over – as soon as her second trimester began, Adele started a 12-week course of chemotherapy. Adele says her pregnancy helped her deal with her cancer diagnosis and treatment, which included losing her hair. “As difficult as it was, I felt like I wasn’t just fighting for myself,” she says. Dad Luis says the pregnancy was stressful, with the couple waiting anxiously for each ultrasound. “Every time I saw that heart again, I felt lucky, I felt like I’m born again,” he tells Healthline. Their healthy son, Constantino, was born via C-section on March 10, weighing a very healthy 3.69kg. His birth meant Adele could start radiation therapy – which she underwent every morning for the first six weeks of her son’s life. Dr Joanne Stone, who delivered Constantino, says she hopes Adele’s story will give other women hope. “If you are somebody that’s diagnosed when you’re pregnant, you can have a baby,” she says. Adele says she was surprised she could have chemotherapy while pregnant, but her breast surgeon, Dr Christina Weltz, says a handful of drugs are safe after the first trimester. In fact, studies presented to a European Society for Medical Oncology congress last month found babies exposed to chemotherapy in the womb suffered no negative mental or cardiac effects. “Fear about the risks of chemotherapy administration should not be a reason to terminate a pregnancy, delay cancer treatment for the mother, or to deliver a baby prematurely,” says lead author Dr Frederic Amant. Adele is scheduled for a breast reconstruction later this year but will still have to take Tamoxifen for five to 10 years to try to stop the cancer returning. The couple are unsure whether they will be able to have more children, as Adele can’t safely get pregnant while on the drug. 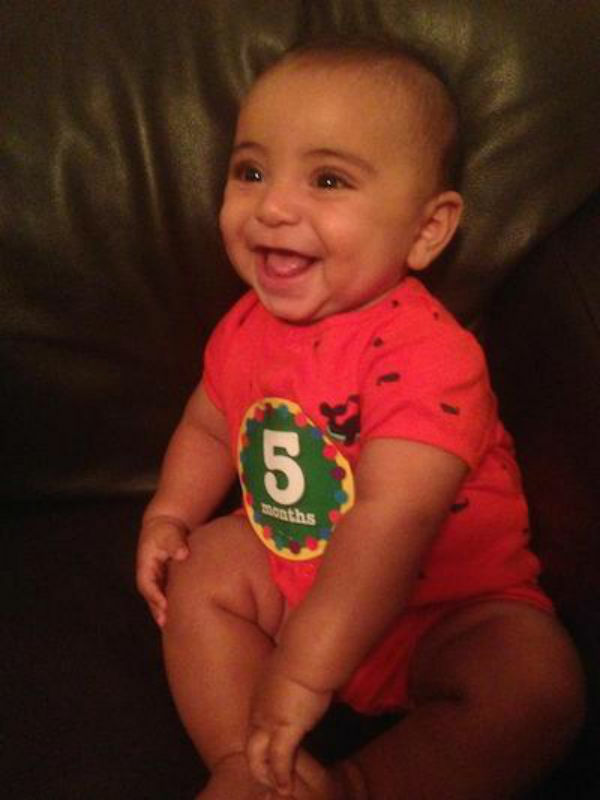 But they are overjoyed with their miracle son, who his dad describes as a “loving, happy boy, smiling all the time”.